Using the power of the internet, turn any HDMI-compatible TV or device into a dynamic information and advertising platform. 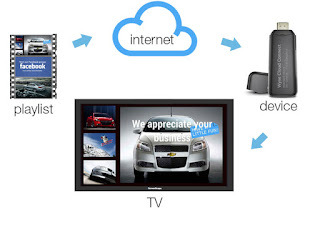 Simply plug in the small ScreenScape Connect device, attach to your local WiFi network and the TV will immediately begin to display the content that you create and maintain online. Manage one screen or an entire network of devices from your PC, Mac, laptop or tablet. If you’ve tried digital signage before, you know it can be difficult and expensive. But it doesn’t have to be. ScreenScape offers a smarter way to turn any TV into a dynamic digital sign. It starts with the ScreenScape Connect device. 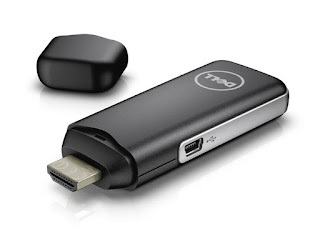 This tiny media player is backed by Dell and features a true plug and play design – no brackets to mount, no screws to turn. It draws power from most TVs and connects wirelessly to your network. There is no operating system to configure and no software to download. Plug it in, get it online and control it remotely from your ScreenScape internet account. 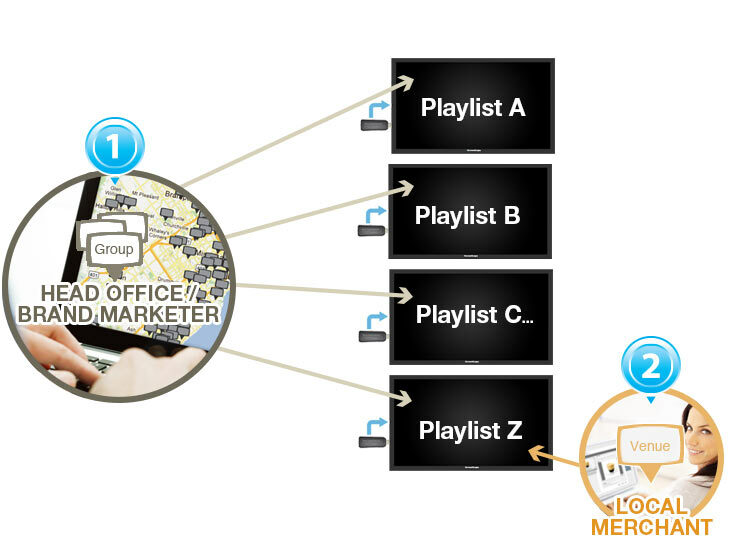 Digital signage is a proven, effective way to engage customers and boost sales. 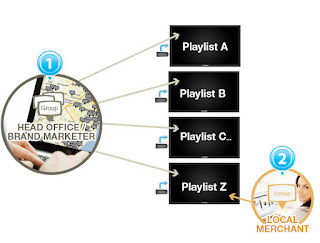 Savvy marketers use it to influence buying behavior where it matters most – in the storefront. Local digital signage informs your customer’s buying decisions allowing you to serve them better with a wider range of options. All of your content is stored on secure, cloud-based servers. This allows you to manage one or even hundreds of screens from a single ScreenScape internet account. Corporate managers can create and deploy consistent content to all screens while still allowing for local content that is managed at the local level. We’ve taken the difficulty out of digital signage so you can spend your time managing your business. You get access to industry leading content management software and graphic design services from Cox Printers that makes publishing easy. In addition, to your own in-house content and promotions, ScreenScape allows you to create a revenue-generating advertising stream. Get paid by your vendors, distributors or other local businesses to run their promotions on your screens. With a free content-provider account, other business can create the content and you can manage the times and locations that the content is displayed. 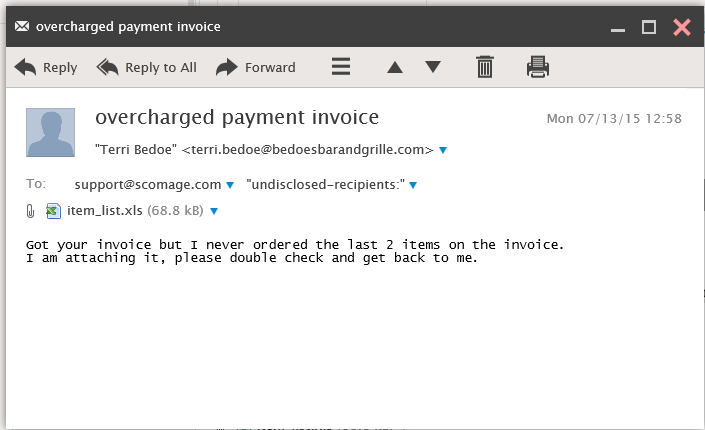 A recent outbreak spreading by email is targeting users of common office documents. The malware called BARTALEX uses a Microsoft Word document and social engineering lure that is widely recognized by enterprises—making infection all too possible. This attack highlights how macro malware in Microsoft Office files is fast becoming a big threat to businesses and organizations. In this attack, some messages all related to Automated Clearing House (ACH) fraud. ACH is a network used for electronic fund transfers in the United States; as a result it is frequently used by businesses that need to transact with other companies on a regular basis. ACH fraud is a typical cybercriminal hook seen in spammed emails, but instead of attachments, these email messages contain a Dropbox link. The URL leads to a Dropbox page that contains a specific and pretty convincing Microsoft Office warning that instructs users to enable the macros. Upon enabling the macro, the malicious document then triggers the download of the banking malware TSPY_DYRE.YUYCC. This malware targets banks and financial institutions in the United States, among which are JP Morgan, U.S. Bank, California Bank & Trust, Texas Capital Bank, etc. Based on feedback from the Smart Protection Network, the United States is the top country affected by BARTALEX, followed by Canada and Australia. Additionally we noticed that this attack used an old Microsoft Office 2010 logo. Given that many enterprises do not immediately upgrade to the latest Office versions, it is possible that users within enterprise organizations may fall victim to this technique. Software that adds additional benefits or features to an existing program. For example, adding a particular search engine interface to your browser. A type of malware that bombards the user with advertisements. This may include pop-up or in-browser ads. An exploit or malware that can infect the users system without any interaction from the user. The user is not required to "click" anywhere, open anything, or respond to any dialogue box. Any trick or combination of actions that can take advantage of a vulnerability to install some type of malware. Any collection of programs and/or configuration changes that alters the operation of the users system in a negative way. Includes: viruses, worms, PUPs, and others. A type of malware that alters the operation of the user's system, but also provides a useful feature. Some users are willing to live with the negative aspects of the program in order to gain the benefits. Typically, PUPs are distributed as "free" games, shopping incentives (sales, coupons), or web browsing enhancements. A type of malware encrypts or locks the user's system or data (files, pictures, other important info). Typically, the user is presented with an option to pay a ransom of about $500 to regain access. A type of malware that alters the operation of the users system for evil. A previously undetected problem with your operating system or installed software that exposes a weakness that can be exploited by a malware author. A vulnerability so new that a fix has not been discovered. The term is used most often to refer to specific malware that already exploits the new vulnerability and was named because the developers had "zero" days to find and fix the problem.